I've come to realize there's not a whole lot of resources out there for Economics at the high school level. The ones that are often aren't engaging or very easy to explain. So I started creating these resources out of desperation. 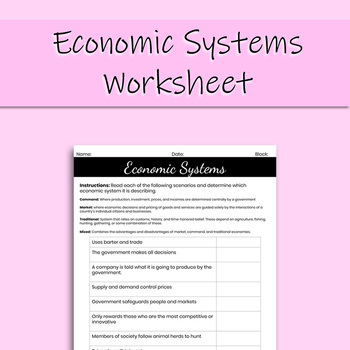 Help your students begin to understand the differences between Economic Systems. We use this to wrap up our first Econ lesson and use it before introducing The Island Project.